I haven’t posted in a while — as it turns out, being a grad student is a lot of work. Who knew? As a result, updating my blog hasn’t been my top priority (sorry!) even though I’ve been reading a lot of amazing books and thinking amazing things about them. I’ve also read some not-so-amazing things and thought not-so-amazing things about them. It’s a mixed bag, really. I’ve just finished my last novel for this term. It was Villette by Charlotte Bronte and I did not like it. I found the novel’s ambiguity frustrating, and the plot lacked…well..many things. Lucy ends up marrying the man who scolded her for looking at Cleopatra and for wearing pink (the audacity!). At least I’m pretty sure they get married — like I said, this book is ambiguous AF. Why does she marry this guy? Because she loves him. Why does she love him? Because…umm…well he rented a school house for her, which she seemed to like. 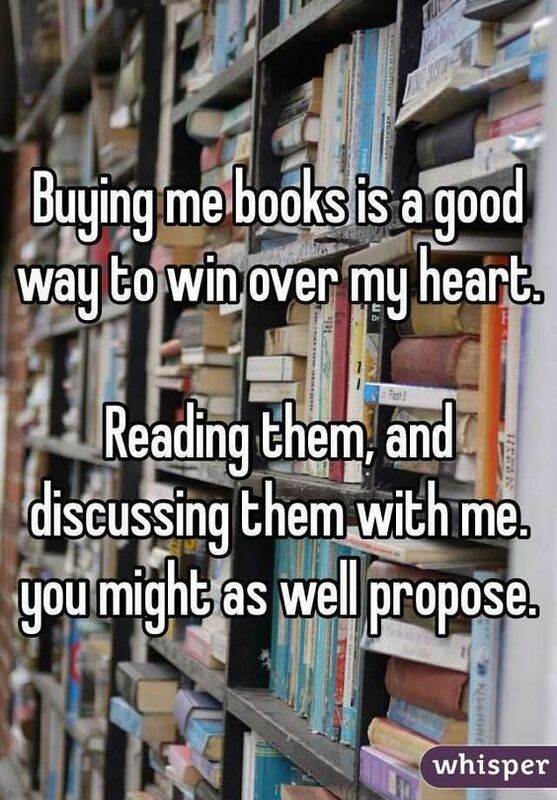 He also…umm…bought her books? Okay, who am I kidding? The man filled her desk with books – nobody can say no to that. Speaking of books, I still have some course readings to get through, but otherwise I am DONE (reading novels) for this term (for my classes). Highlights have included Can You Hear the Nightbird Call?, Tell, Tale of Two Cities and (surprisingly) Bleak House. A quick note on Tell – this is a book of poetry by Soraya Peerbaye about the murder of Reena Virk. Reena, a young teen in BC, was murdered by her classmates, a bunch of inhuman, vicious, violent people with hearts and heads filled with hate and prejudice. This book is absolutely chilling and sheds light on a devastating and dark mark in Canadian history. There’s been a lot of talk recently about how wonderful Canadians are, and it is true, Canadians rock and I love being one, but it is important to remember that ugliness exists here too, and we need to fight it at home just as much as we do abroad. On that little reflective note, I’m off to continue my path towards super-smarted-ness. NEW WORD! COINED IT! Only 3 presentations, 1 proposal, 3 papers, and a stack of exam marking to go! 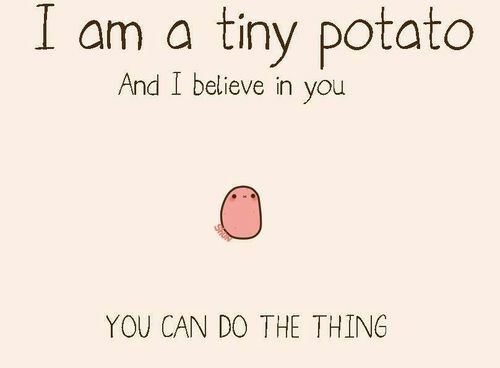 Thanks, Tiny Potato. You always have my back.